The Empowering Women in STEM Congress, 18-19 October 2017, will provide a positive action with outcomes on the issue of gender diversity and bridge the skills gap. Bringing together sector leaders, this national event will strengthen pathways between education providers and industry to ensure Australia acquires and retains the best talent in STEM fields. 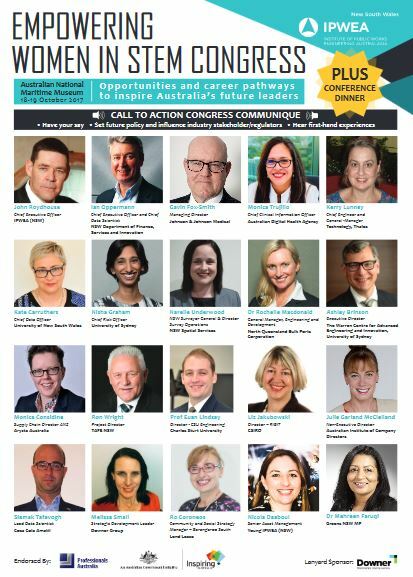 Have your say and contribute your ideas to a national strategy on STEM policy, increasing awareness on gender diversity and skilling up our future workforce through our call to action communique.